How would you rate your experience with Detroit Bikes ? Detroit Bikes was founded by current CEO Zak Pashak in 2011. After losing a bid for office in his native Canada, Pashak took a trip to Detroit, where he saw a future in bicycles for a very urban environment. The company designs and builds bicycles in Detroit, Michigan, with parts made in Asia. While some companies are selling cheaper bikes, Pashak says that not everyone is interested in the cheapest possible bicycle they can buy. Pashak says that his bikes cost more, but they are better built because they are built in the USA. The company also makes custom bikes for clients and Pashak says he makes about 150 bicycles every day. This CEO is perhaps one of the few who thinks that Trump’s tariffs on imported goods are a great idea, mainly because his bikes are American made. The company uses an old warehouse for assembly and design. Headquarters are located in Detroit, Michigan. In 2016, the company lost $150,000 but Pashak believes that the bike industry as a whole is looking up. Question 1: What is the phone number for Detroit Bikes? Answer 1: The phone number for Detroit Bikes is (313) 646-4109. Question 2: Who is the CEO of Detroit Bikes? Answer 2: The CEO of Detroit Bikes is Zak Pashak. Question 3: Who founded Detroit Bikes? 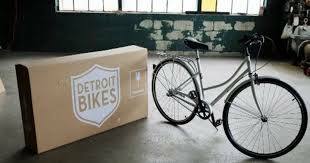 Answer 3: Detroit Bikes was founded by Zak Pashak in 2011. Want to make sure Detroit Bikes sees your comment or complaint?